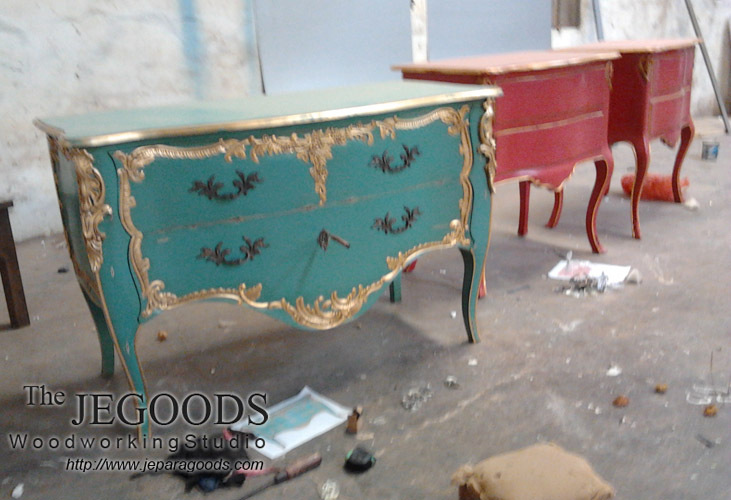 Here’s my collections about antique repro and painted furniture. The collection is telling you about colors and carving styles. I am welcome for custom order that require design furniture from customer. Send me your picture including measurement and material, and i will quote you estimation price. My main aim is customer satisfaction. i do not work for short time only, but i have thought relationship along to the future. All of wood is dried to ensure it is stable when it is arrived in your place and all items are hand crafted by individual. And if you have plan for traveling to Indonesia, just come by and visit my place in Jepara and find the items or discuss any new design. Even if you are looking for partnership or direct exporter furniture from Indonesia, hope you might consider me as the one you are looking for, and of course with competitive and reasonable prices. Please enjoy my antique repro and painted collections below or you can also see my antique and painted furniture collection on here. If you have any enquiry, just feel free to contact me for further detail. 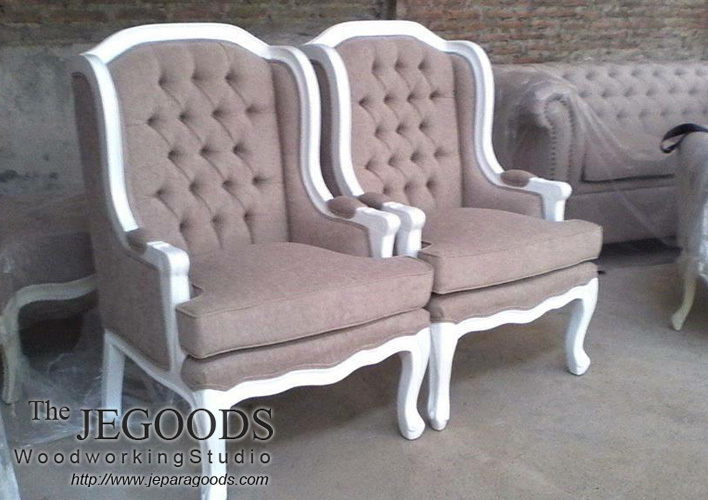 French classic wing chair furniture by Indonesia skilled craftsman. 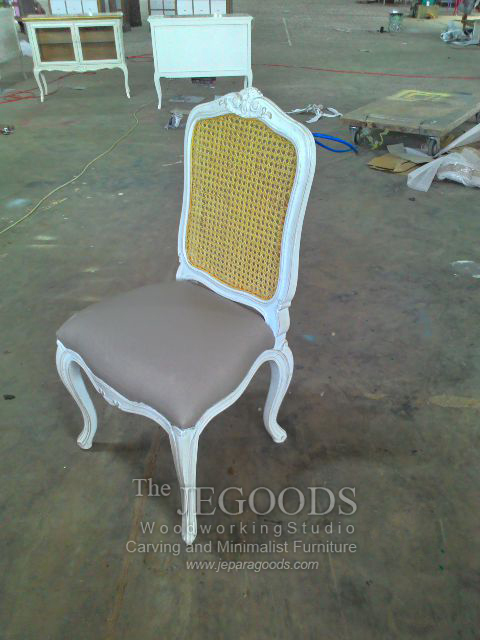 We produce and manufacturing French Carving Chair Style by Indonesian Skilled Crafter at affordable cost. 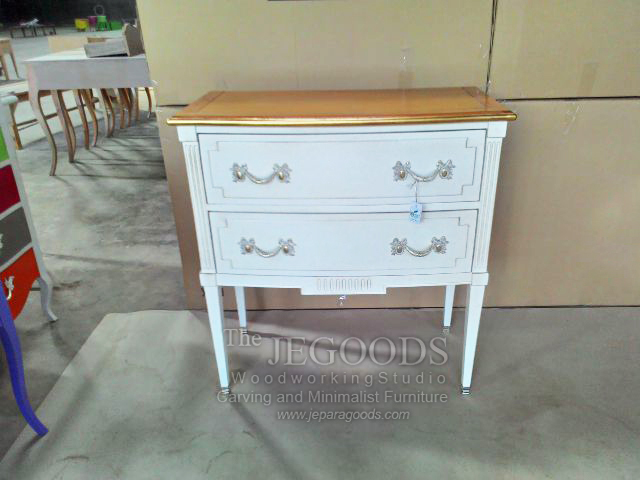 A classic Louis XVI french chest drawer painted in shabby white-natural. 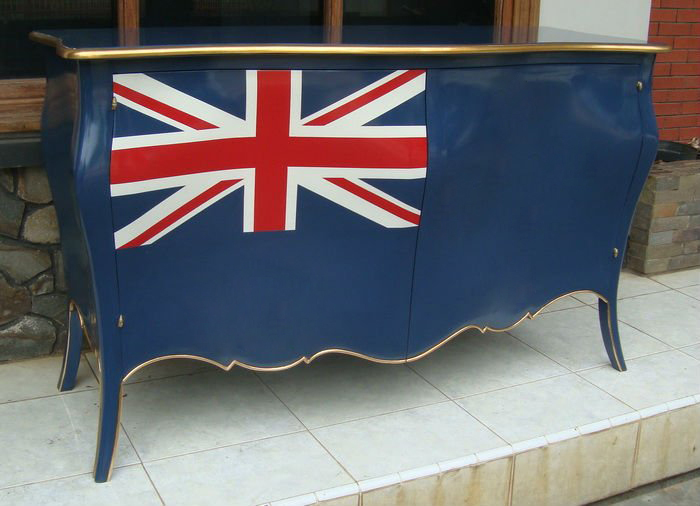 We produce & supply carving furniture made of best traditional handmade craftsmanship with high quality at affordable cost. Katalog price list sudah saya kirim by mail. 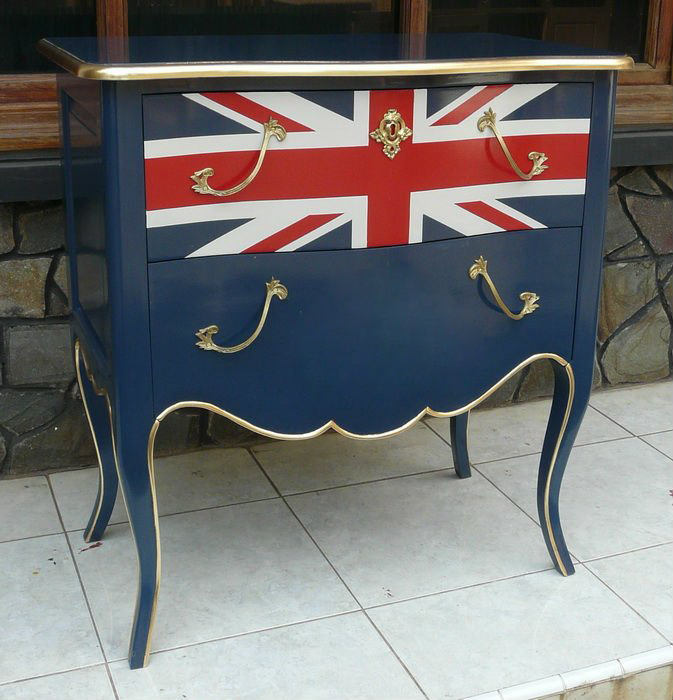 Saya tertarik dengan produknya yang kursi windsor warna putih dengan meja warna2 pelangi. Boleh tau harganya? kebetulan lagi ada rencana bikin cafe, mohon dikirim pricelist nya yah. dear Chintya. thanks for your interests. saya kirimkan by email ya. Hey let's just make a friend, if then someday we will talk about business, that's only a bonus from our friendship :) - Ridwan. Mon - Sun ; 10am - 5pm (GMT+7). Load our high quality furniture containership before heading to the port for ocean freight and shipment to worldwide. 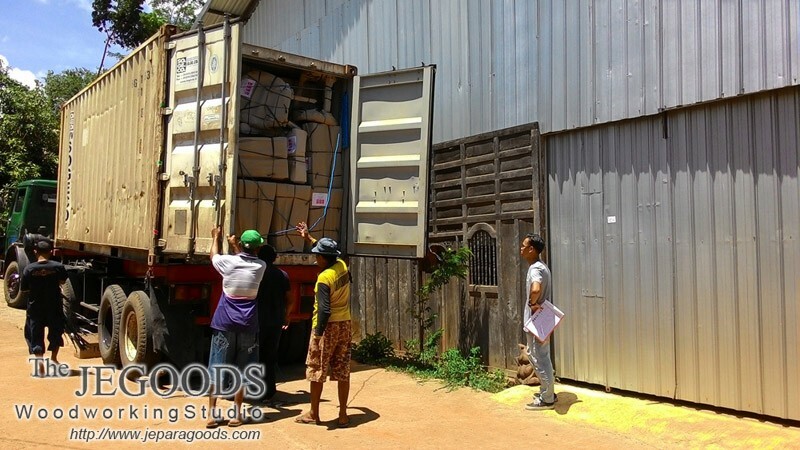 Buy Indonesia Furniture in Bulk and Save! Direct supply from Jepara craftsmen! Antique French Carving Chair with Cane. 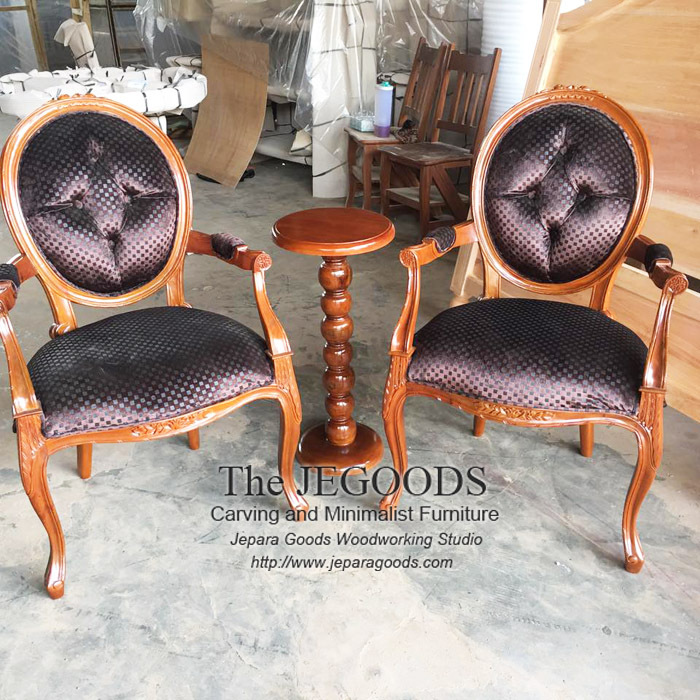 We produce and manufacturing retro scandinavian mid century furniture dining chairs at affordable price by Jepara Goods Woodworking Studio Indonesia. 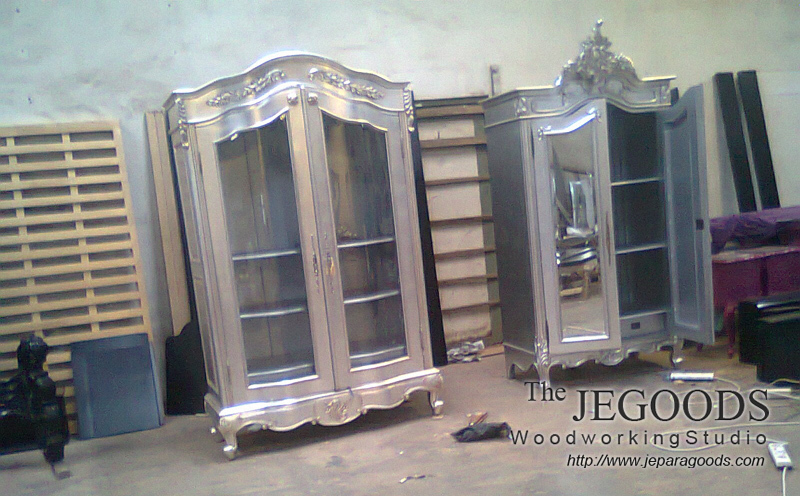 The Jegoods Woodworking Studio Furniture Indonesia. 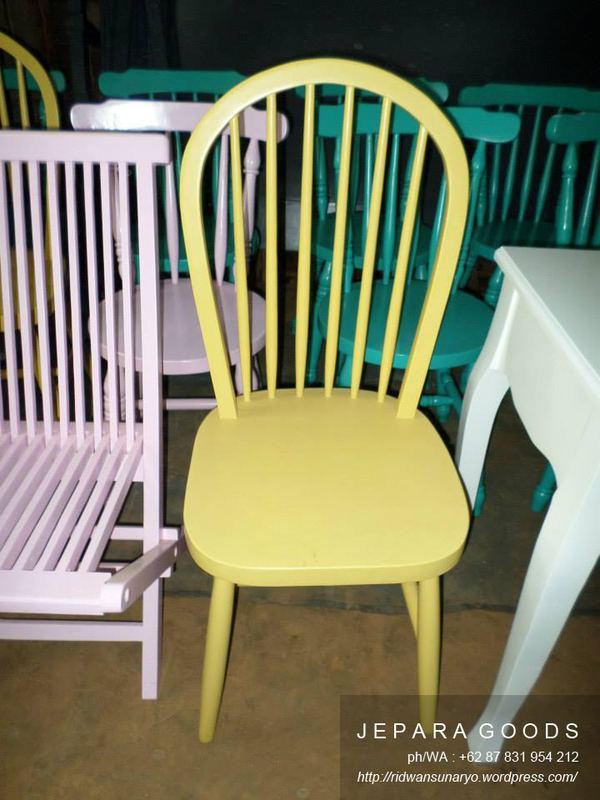 We manufacture and supply Wishbone Chair of retro scandinavian mid century furniture dining chairs at affordable price by Jepara Goods Woodworking Studio Indonesia. Kiln Dry Furniture with Standard Moisture Content. 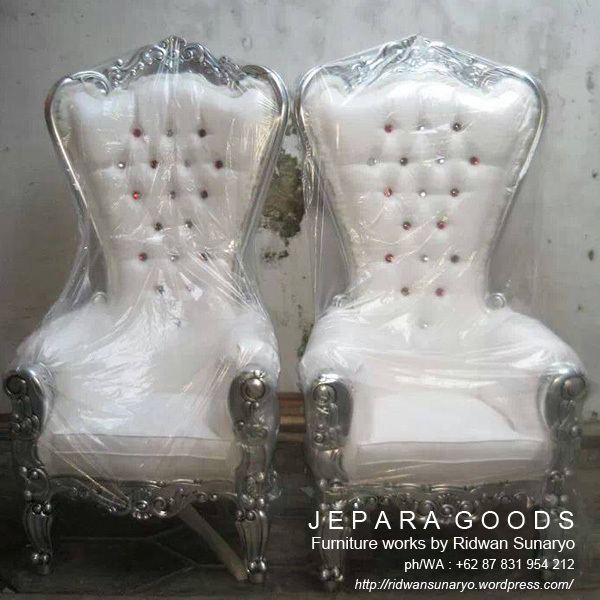 Export Quality Furniture Jepara Goods. The Jegoods Woodworking Studio Indonesia. Proses pengeringan mebel kursi jati. We do kiln dry our teak furniture with standard moisture content. 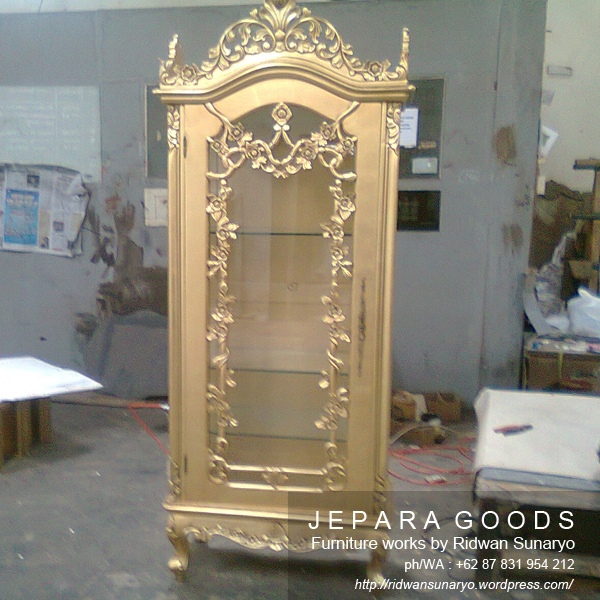 Export Quality Furniture by Jepara Goods Woodworking Indonesia. Kami memproduksi kursi model retro scandinavia untuk proyek cafe, restoran atau sebagai pelengkap interior Anda. 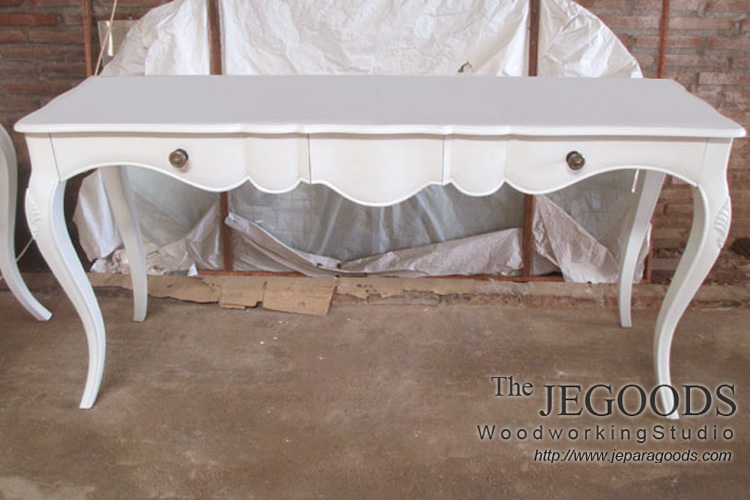 We manufacture dining table in rustic white washed finish made of teak wood at wholesale factory price by The Jepara Goods Woodworking Studio Indonesia. 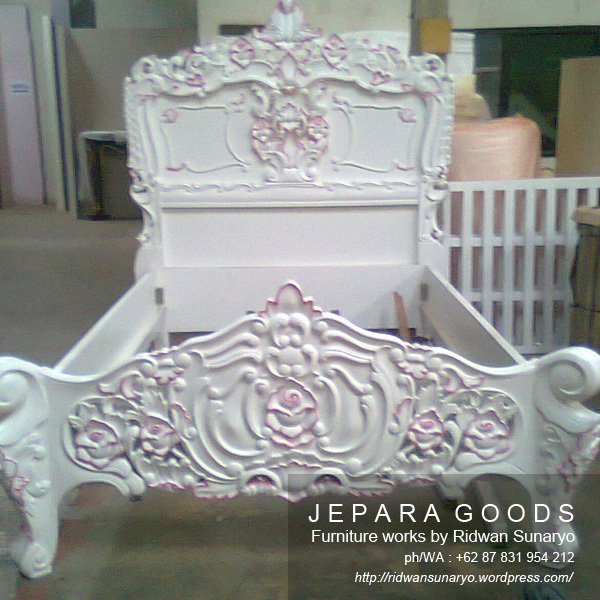 Manufacturing and supply of scandinavian mid century furniture to clients by Jepara Goods Woodworking Studio Indonesia. 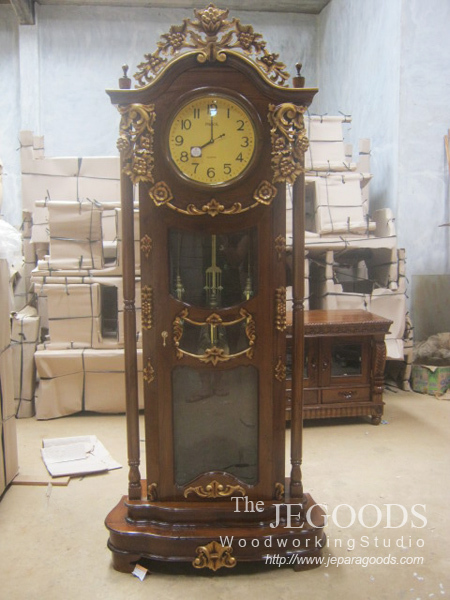 Vintage Furniture Collection by Jegoods Mebel Indonesia. Hans Wegner Wishbone Y Chair made of teak – Wholesale at factory price. Kursi makan retro minimalis – We produce and manufacturing minimalist retro scandinavian mid century furniture dining chairs at affordable price by Jepara Goods Woodworking Studio Indonesia. Ready stock kursi crossback untuk cafe, bar, restaurant etc. 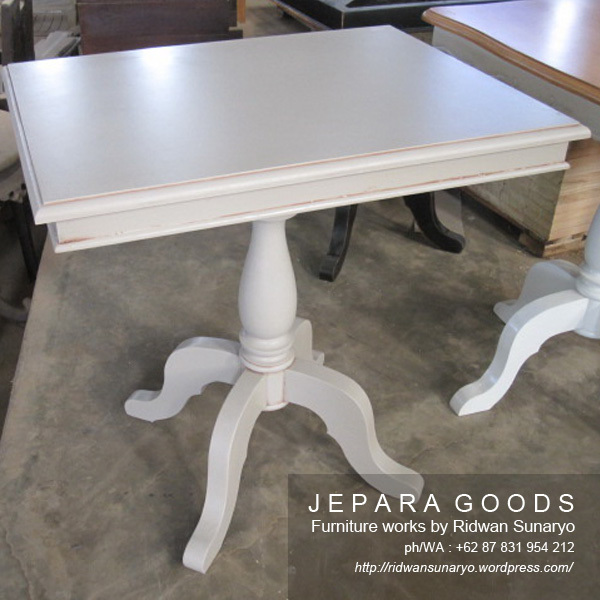 We produce dining table in rustic white washed finish made of mindi wood (Java Oak) at wholesale factory price by The Jepara Goods Woodworking Studio Indonesia. Kami memproduksi furniture minimalis, retro vintage, atau custom design untuk kebutuhan rumah pribadi ataupun proyek hospitality. Konstruksi pertukangan handmade tradisional terbaik. Furniture Indonesia kualitas ekspor dengan harga terjangkau. We produce and supply Windsor Bench midcentury retro scandinavia furniture made of best traditional handmade craftsmanship with high quality at affordable price. 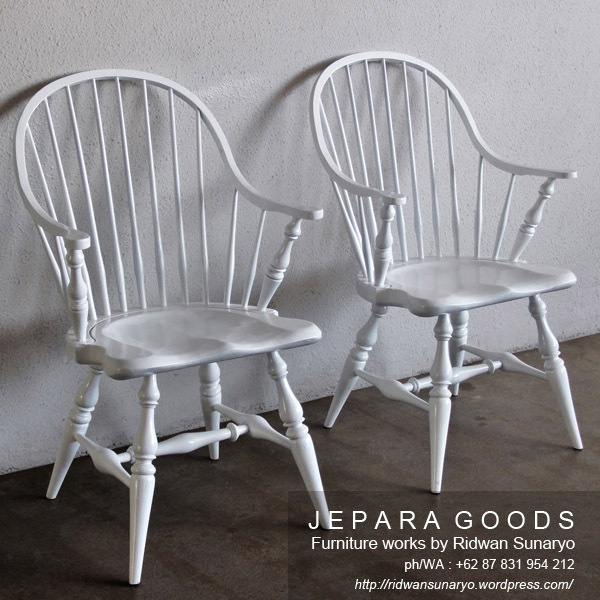 Production and manufacturing of retro scandinavian mid century chair by Jepara Goods Woodworking Studio Indonesia. Kami memproduksi furniture meja cafe rustic kayu besi untuk kebutuhan rumah ataupun proyek restoran dan cafe. Konstruksi pertukangan handmade tradisional terbaik. Furniture Indonesia kualitas ekspor dengan harga terjangkau. Kursi Makan Windsor warna cat putih, lengkap dengan meja bundar diameter 120cm warna cat putih duco asli Jepara. 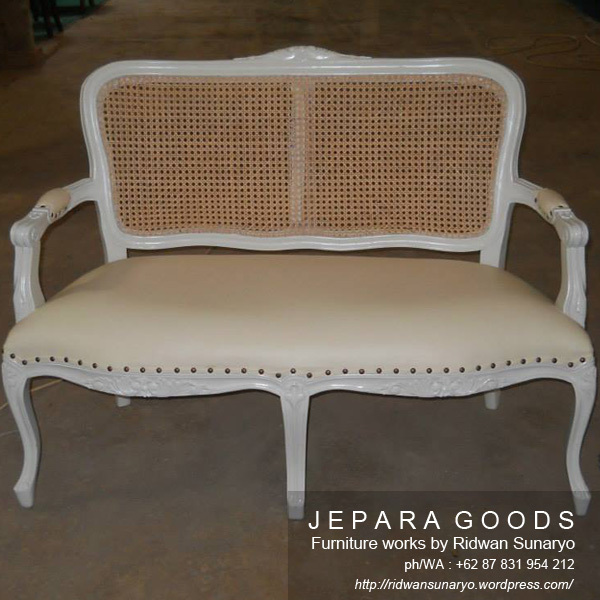 Production and manufacturing of scandinavian mid century furniture style by Jepara Goods Woodworking Studio Indonesia. Kursi Lingkar untuk cafe dan restoran. 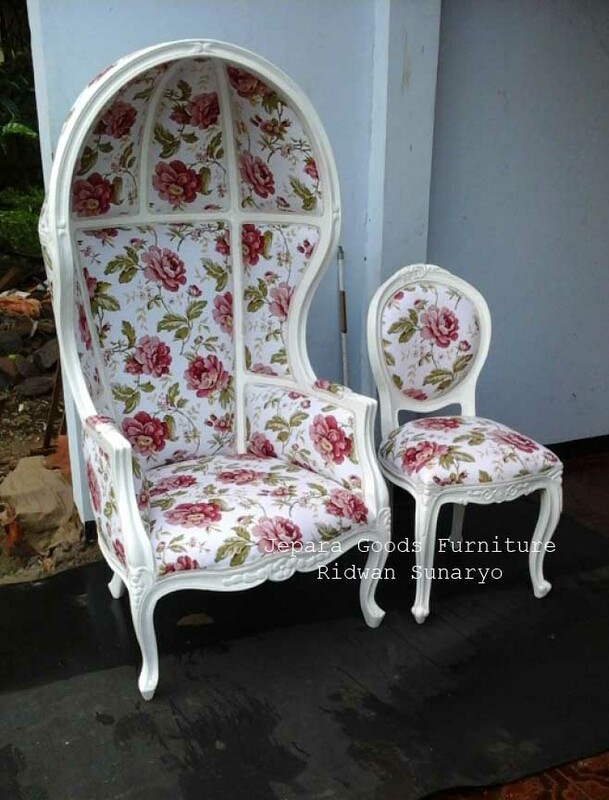 Kami memproduksi furniture gaya vintage, minimalis kontemporer ataupun custom design. Konstruksi pertukangan handmade tradisional terbaik. Furniture kualitas ekspor Indonesia dengan harga terjangkau. 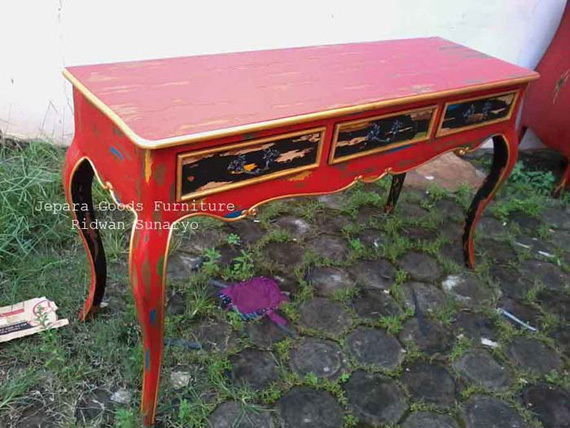 Handmade furniture by skilled craftsmen Indonesia. 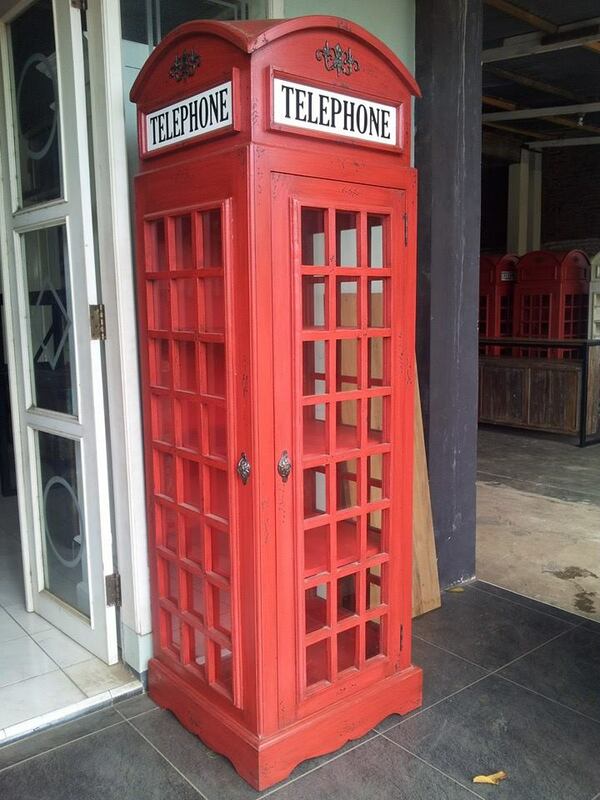 Rustic Industrial Vintage Scandinavian Retro Furniture Manufacturer Indonesia by Jegoods Mebel. Windsor Chairs in natural and white finish. Windsor Arm-Chair in black finish. 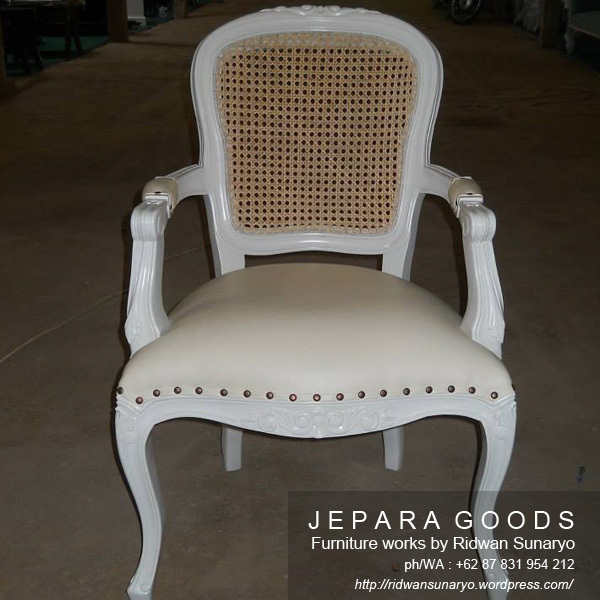 Mid century chair furniture by Jepara Goods Woodworking Indonesia. Production and manufacturing minimalist and retro mid century scandinavian furniture by Jepara Goods Woodworking Studio Indonesia. 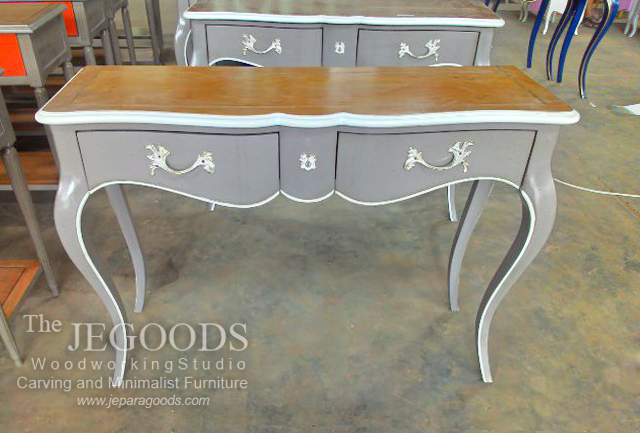 We produce furniture directly from our warehouse at affordable price. 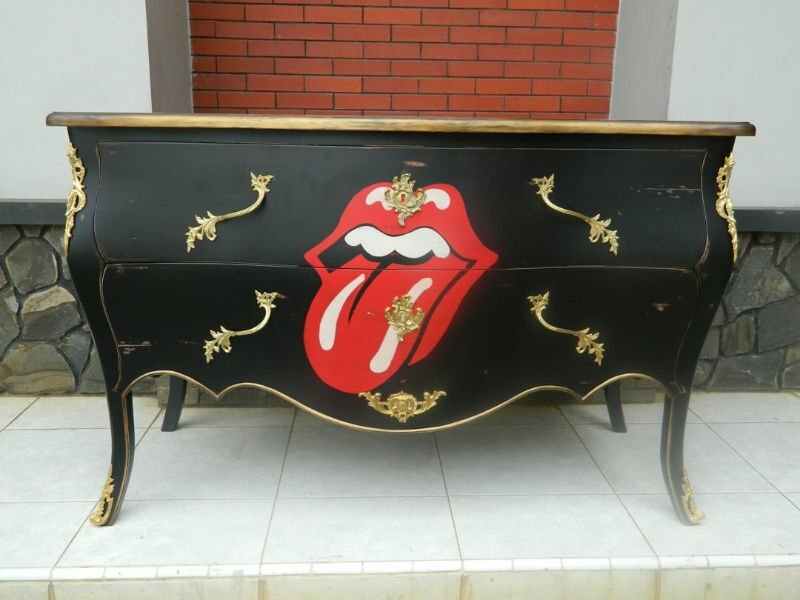 Kami memproduksi furniture Kursi Bar Stool model retro vintage berkualitas ekspor dengan harga pasar lokal Indonesia. We produce book rack made of teak by Jepara Goods Furniture Indonesia at factory price. Production and manufacturing of minimalist, retro mid century chairs by Jepara Goods Woodworking Studio Indonesia at affordable price. Indonesia teak furniture manufacture at affordable cost by Jepara Goods. Cabinet teak rack with rattan baskets. Nordic scandinavia vintage rack furniture at low price. We produce good furniture made of teak wood Indonesia, best hand made construction at affordable price. We design and manufacturing retro scandinavian mid century danish furniture dining chairs at affordable price by Jepara Goods Woodworking Studio Indonesia. 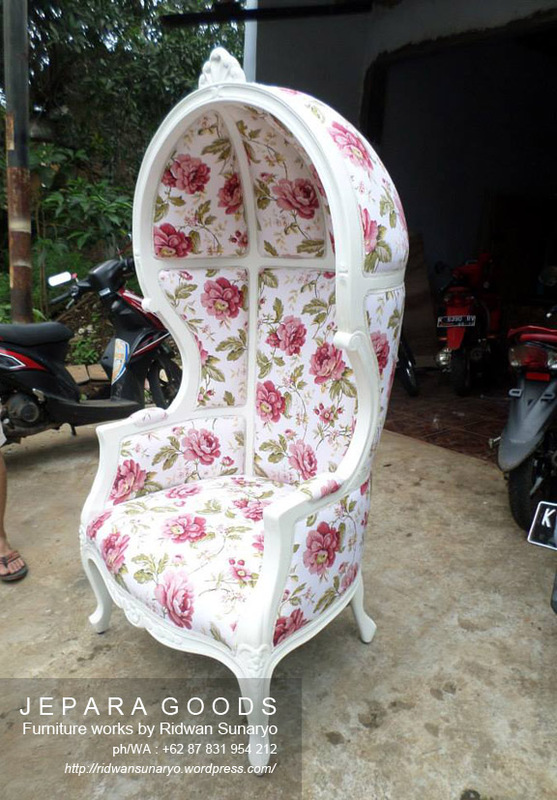 We produce and manufacturing Royal French Carving Chair Style by Indonesian Skilled Crafter at Factory Prices. 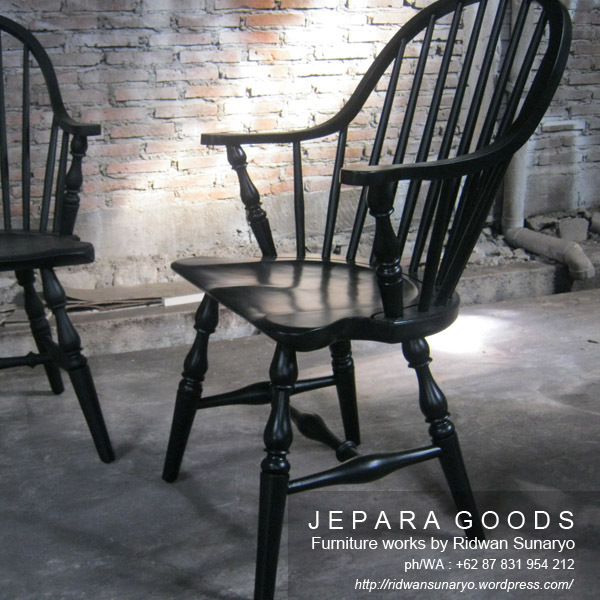 Production and manufacturing of retro mid century Cross Back chairs by Jepara Goods Woodworking Studio Indonesia. We design and produce side table furniture combined with cane. Kursi Restoran model minimalis modern, kuat dan kokoh. Dibuat dengan kayu jati asli Jepara Goods Indonesia. We produce and supply Windsor Arm Chair midcentury retro scandinavia furniture made of best traditional handmade craftsmanship with high quality at affordable price. Kursi meja cafe model retro industrial jati kualitas ekspor Indonesia. We produce retro writing desk made of Java teak wood at wholesale factory price by The Jepara Goods Woodworking Studio Indonesia. Kami memproduksi furniture model rustic untuk kebutuhan rumah ataupun proyek restoran dan cafe. Konstruksi pertukangan handmade tradisional terbaik. Furniture Indonesia kualitas ekspor dengan harga terjangkau. 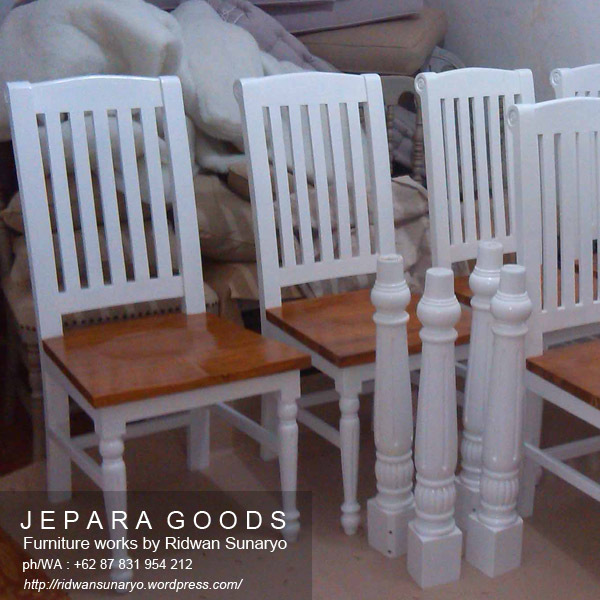 Production and manufacturing of mid century Kopitiam chairs by Jepara Goods Woodworking Studio Indonesia. 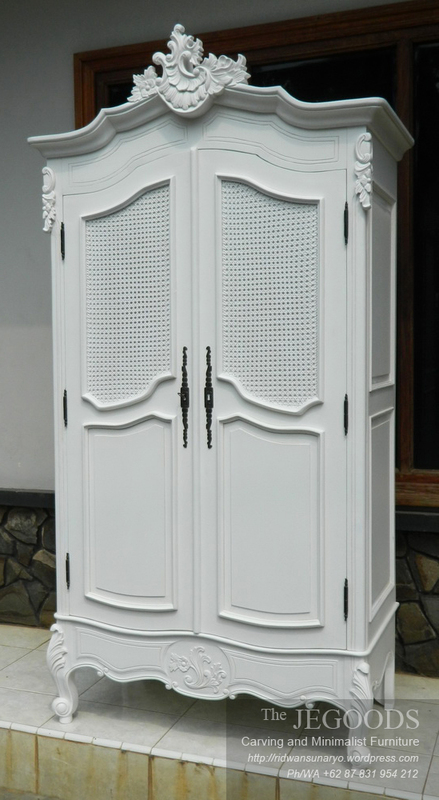 Kami memproduksi furniture gaya vintage, minimalis kontemporer ataupun custom design. Konstruksi pertukangan handmade tradisional terbaik. Furniture kualitas ekspor Indonesia dengan harga terjangkau. Abstract Line Coffee Table – We design and produce good furniture made of solid teak wood Indonesia, best traditional hand made construction by skilled Indonesia craftsman. 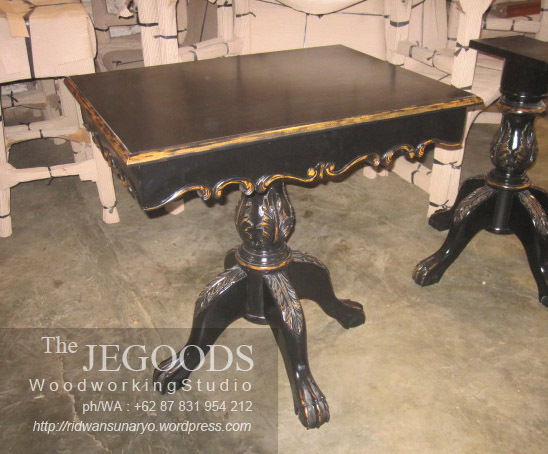 We supply furniture retro minimalist scandinavia vintage coffee table side table at affordable price by the Jegoods Woodworking Studio Indonesia. Handmade rack bookshelf furniture in natural finish made of solid teak by skilled craftsmen Indonesia. 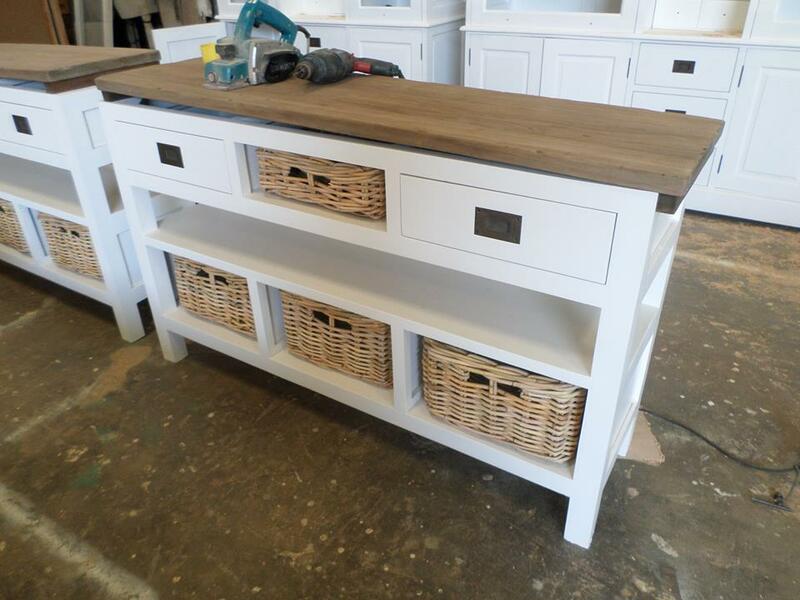 We do package our furniture properly to ensure it’s safe when it’s arrive in our buyer’s place. kursi makan kursi cafe minimalis, ringan dan kokoh dari kayu mindi wood. We produce and manufacturing scandinavian mid century furniture style and or custom furniture design at affordable cost by Jepara Goods Woodworking Studio Indonesia. 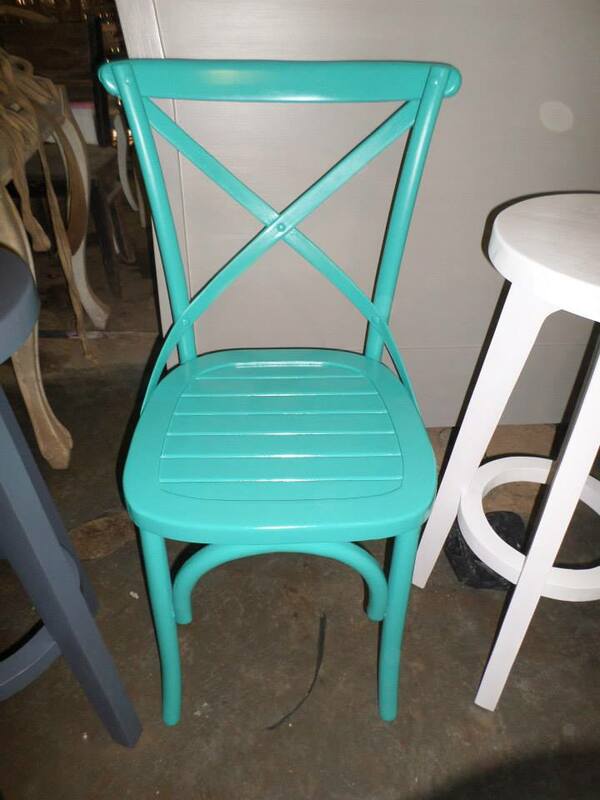 We design, manufacture and supply scandinavia retro vintage chair table furniture for private house or commercial use. Available at wholesale price. Model Lemari Rak Botol Serba Guna Minimalis Kayu Jati Asli Jepara. Teak ladder and table stool to display your precious art and accessories. Kami memproduksi furniture kursi model minimalis, retro vintage scandinavia, kursi custom design untuk proyek cafe, restoran atau sebagai pelengkap interior rumah Anda. 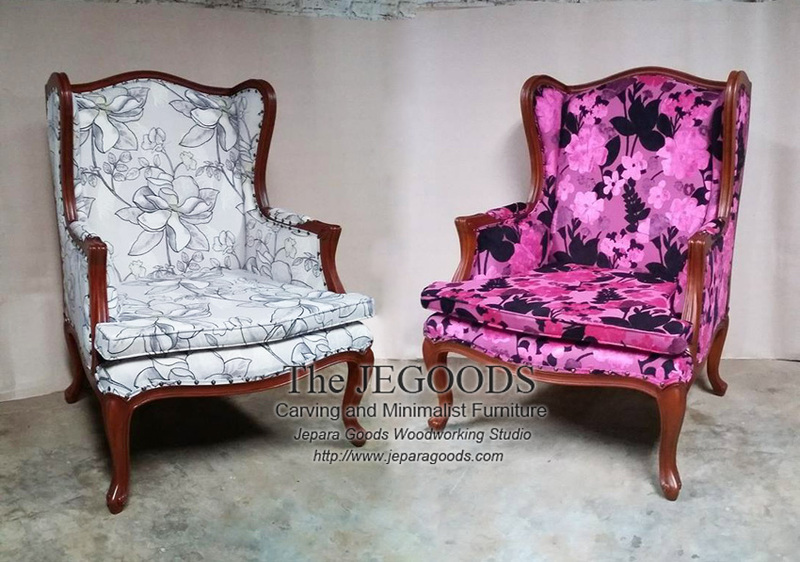 Furniture kualitas ekspor dengan harga pasar lokal Indonesia. Teak bar chair and stool furniture production. 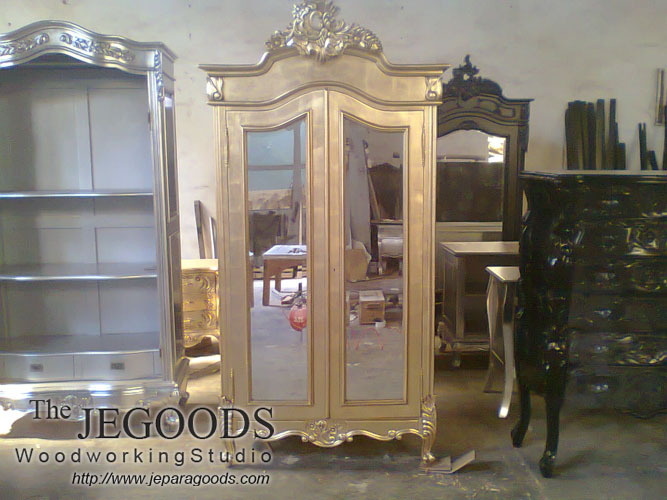 Teak and mahogany furniture craftsman Jepara Goods Woodworking Studio Indonesia. 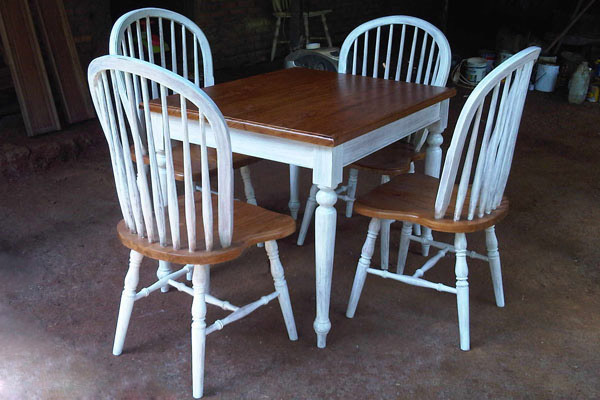 Set of Windsor Chair and Dining Table with White and Natural Finished. Ready Stock Kursi Restoran dan Kursi Cafe Kayu Jati Asli Jepara. In the wood assembling section. We work on quality wood and produce high quality furniture made of solid wood with best traditional handmade construction method by skilled Indonesia craftsman. 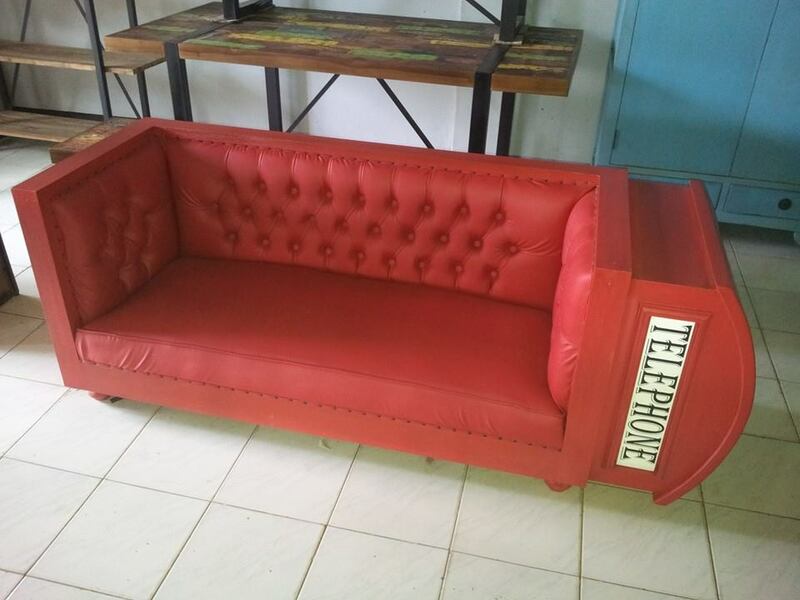 We supply furniture at affordable cost. Scandinavian modern retro chair made of solid teak wood with kiln dried proceed by the Jepara Goods Woodworking Studio Indonesia. We produce dining table made of mindi wood (Java Oak) at wholesale factory price by The Jepara Goods Woodworking Studio Indonesia. Kursi meja cafe model retro industrial besi kayu jati kualitas ekspor Indonesia. Sample stock kursi untuk proyek cafe, bar, restaurant etc. Manufacturing Circle Retro Chairs made of Teak Solid Indonesia. Hand crafted by our skilled craftsman in Jepara, Central Java – Indonesia. Manufacturing Circle Retro Chair made of Teak Solid Indonesia. Hand crafted by our skilled craftsman in Jepara, Central Java – Indonesia. We manufacture replica of John F. Kennedy Chair by Hans Wegner. 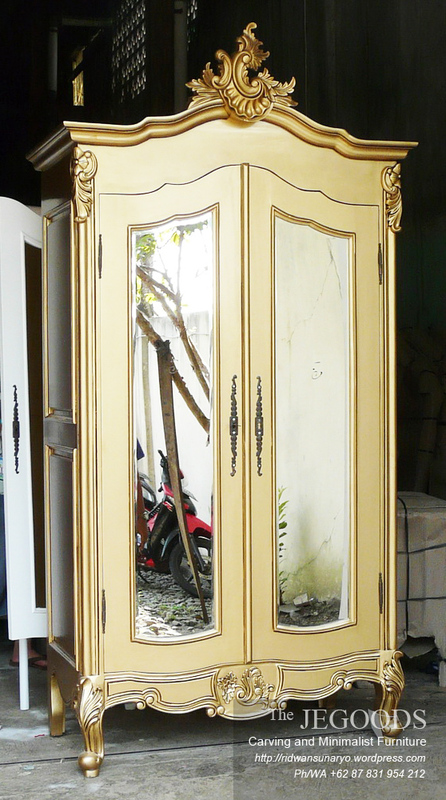 Scandinavian vintage furniture Jepara Goods Indonesia. 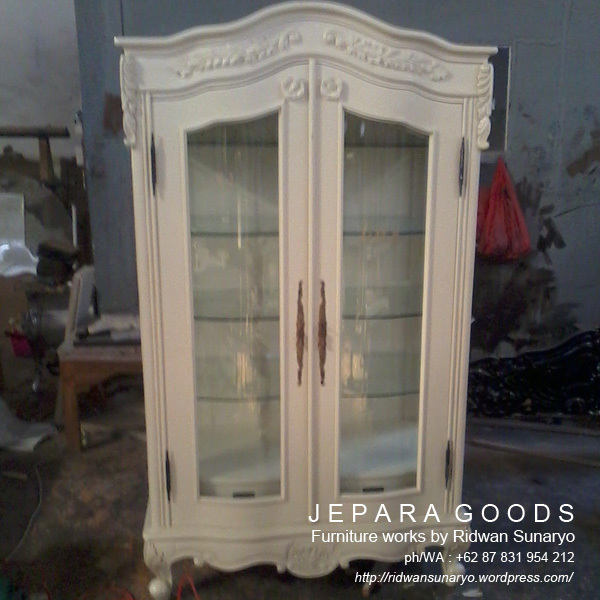 Proses packing dan supply pengiriman furniture kursi restoran dan kursi cafe dari Jepara Goods. Proses packing dan pengiriman kursi restoran dan kursi cafe dari Jepara Goods. 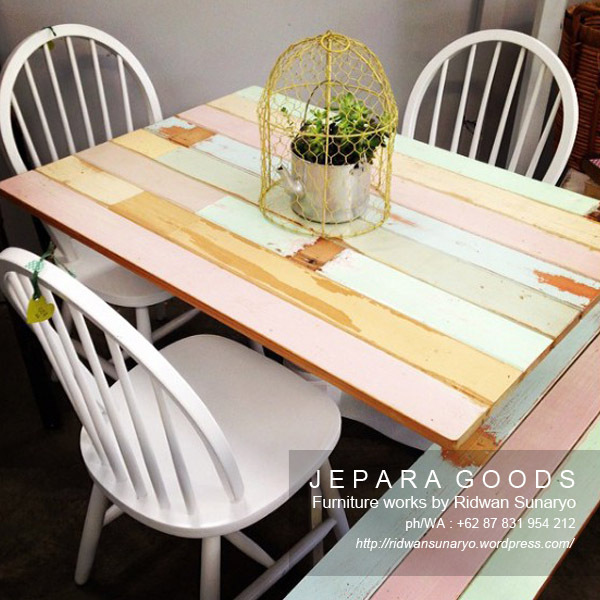 We manufacture dining table made of reclaimed teak wood at affordable cost by Jepara Goods Indonesia. White Wash Rustic Coffee Table – Kami memproduksi furniture meja minimalis untuk proyek rumah atau hospitality hotel, restoran dan cafe terbuat dari kayu jati solid. Konstruksi pertukangan handmade tradisional terbaik. Furniture Indonesia kualitas ekspor dengan harga terjangkau. 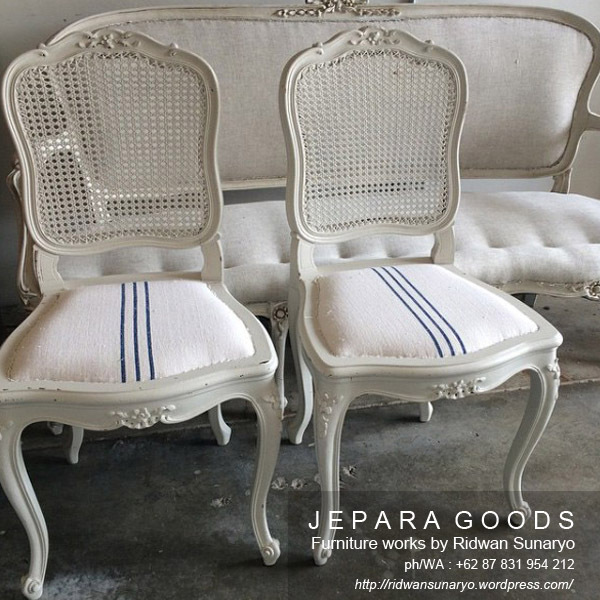 Vintage Scandinavian Retro Chair Manufacturer Indonesia by Jegoods Mebel. Modern and retro chairs made of solid teak wood with kiln dried proceed by the Jepara Goods Woodworking Studio Indonesia.